Best. Gift. Ever. A Boombox is a gorgeous decorative memory box that looks exquisite in every happy home. But, the real beauty lies within! Each box can hold up to 150 premium 5x7 cards, printed with one-of-a-kind photos and written messages for the happy couple. 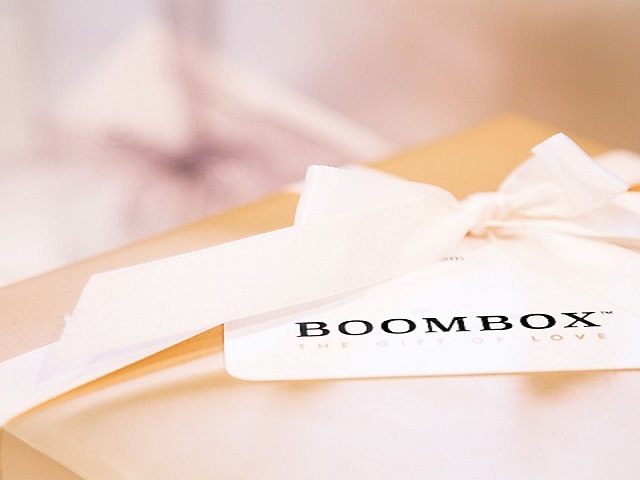 With 13 beautiful box styles to choose from and endless ways to personalize the messages inside, there is truly a Boombox for everyone, and every occasion. A Boombox can be created on your own or as a group gift, using our email invitation tool or a unique hyperlink for friends & family to participate over social media or the wedding website.